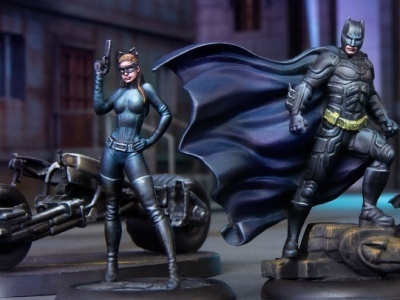 Cryptozoic Entertainment will release a new Crossover Pack for its DC Deck-Building Game series featuring the New Gods in June. The New Gods are a race of beings who inhabit two warring planets – New Genesis and Apokolips- in a far-away galaxy. There are six new characters to play as: Orion, Mister Miracle, Big Barda, Kailbak, Granny Goodness and Darkseid, and there are no teams in this war. 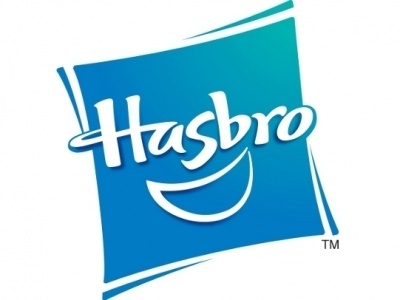 Instead of the Super-Villain stack, there are two stacks of Homeworld cards. There is also a new keyword: Protector. 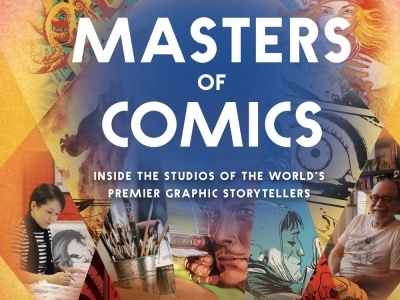 The Super Heroes hope to conquer Apokolips, and the Super Villains try to conquer New Genesis. When either of the Level 3 homeworlds is conquered, the game ends, and whomever has the most VPs is the winner. 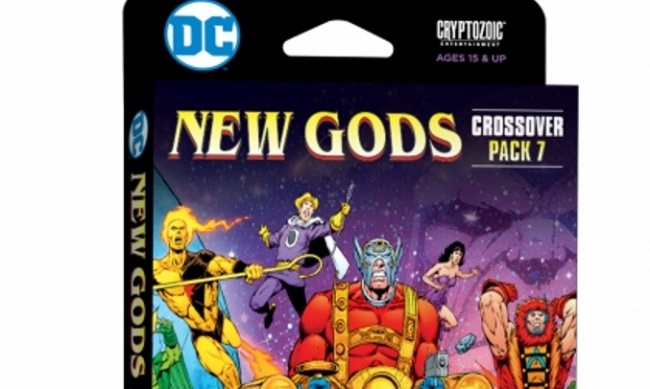 The box includes 6 oversize New Gods cards, 32 game cards, multiverse tab and randomizer card and rules. 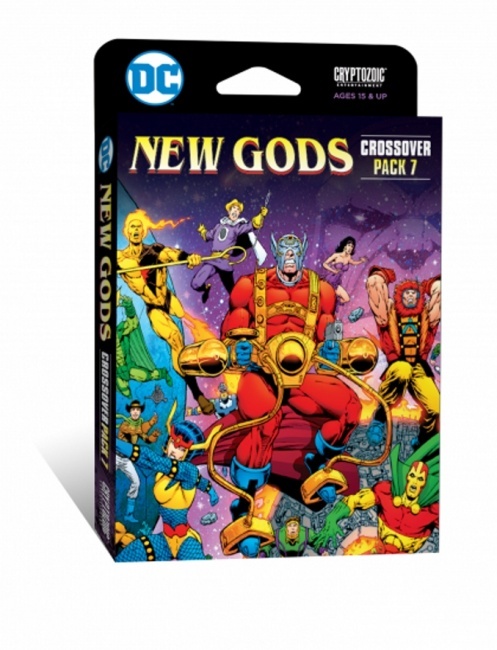 The DC Deck-Building Game Crossover pack 7: New Gods is compatible with the original DC Deck-Building Game, Heroes Unite, Forever Evil, and Teen Titans releases. MSRP is $13.00.